Stand out in the Dakota Bardot Jumpsuit. 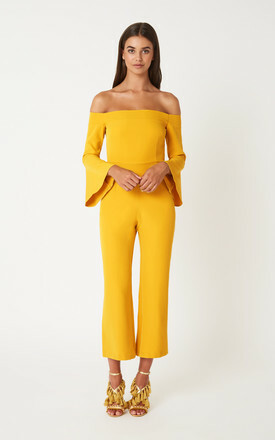 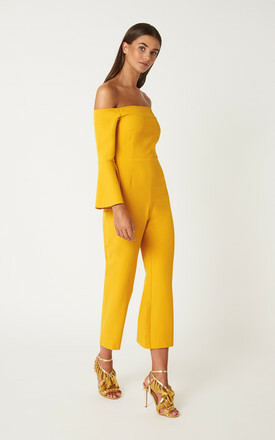 This jumpsuit will have all eyes on you in this season’s Ochre. 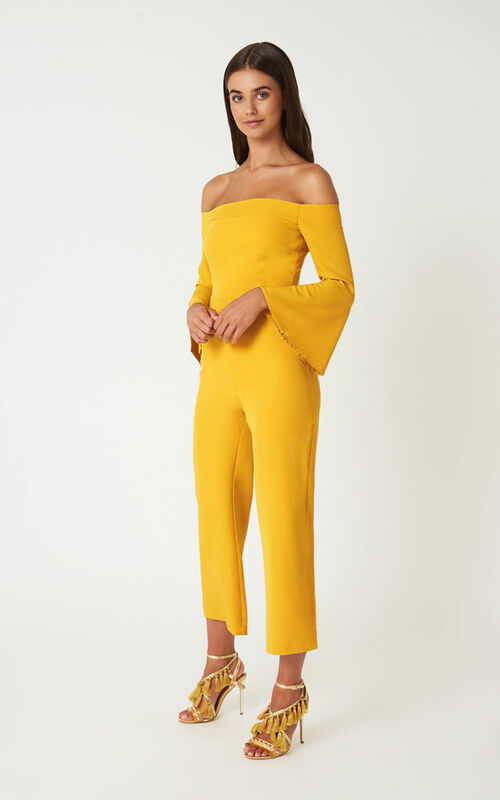 With bardot neckline, flutesleeves and culotte bottoms.